On Mondays and Wednesdays we feed dinner to 8+ teens. You can partner with us by choosing a day to bring in a meal or provide a gift card for take out food from a local restaurant (Subway or Domino’s or other). We also need snacks every Monday-Thursday for 40 After School Center children. On three Saturdays a year, we refresh our space. We have painting, building, and cleaning projects to prepare beautiful spaces for our kids. Have a passion for helping high school students achieve their highest academic potential? New City Kids is powered by the teen employees in our Teen Life Internship Program. To help them excel academically, we offer tutoring. Sign up to help with a single subject, or to offer general academic help to teens. 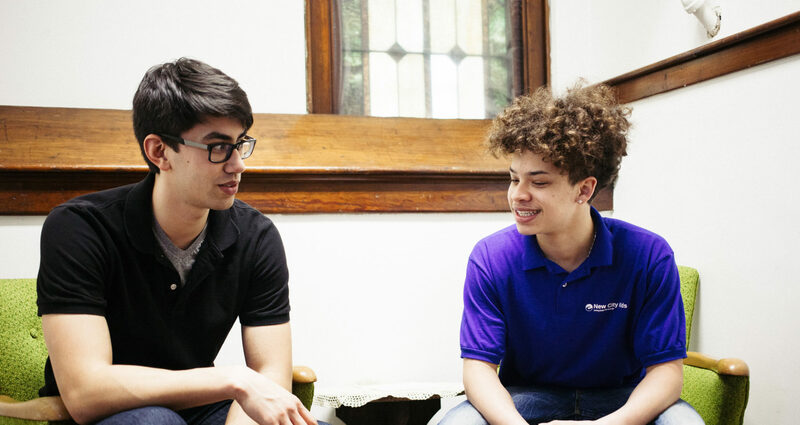 We’ll match you to teens who would benefit from help in specific subjects. We spend 45 minutes each afternoon tutoring elementary school students. Spend the afternoon with a 1st-8th grader fostering their academics.